Inter Milan striker looks to complete a move to the top fight division in Russia, as €26million is rumoured to be the fee whilst he we will be on €400,000 a week, for club side Anzhi Makhachkala. The club have already bought a few big players as Balazs Dzsudzsak and Yuri Zhirkov have already moved there this summer, but clinching the services of Samuel Eto’o is a great achievement. Eto’o has been linked with many clubs for the past few seasons, including Chelsea, Manchester City, and teams who have found new wealth including Malaga of Spain and PSG of France. However, he looks set for the Russian club or also have been taken over by Suleyman Kerimov, who is estimated to be worth $8billion. 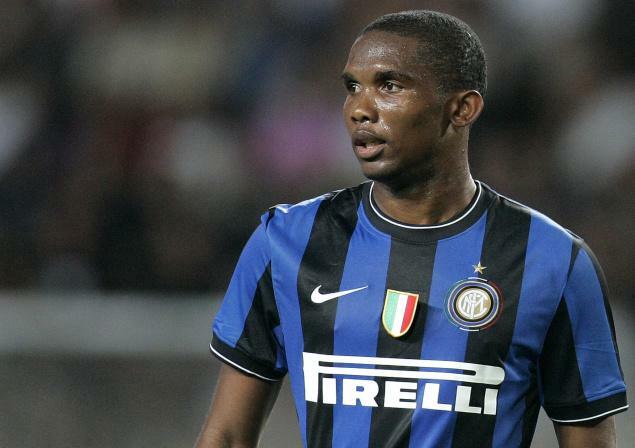 Samuel Eto’o seems extremely likely to join the team, and improve their team from last season, where they finished 14th. The team are currently 4th in this season’s campaign and their squad looks to be getting stronger. With Eto’o leaving Inter Milan, it looks even more likely that Carlos Tevez will be his replacement as he wants to leave Manchester City. Eto’o will be one of the highest paid footballers in the world, and this deal is to be one of the most shocking in recent seasons.